Fenabel will once again be showing its novelties at Export Home, which celebrates its 28th edition over 30 years. A showcase of the perfect symbiosis between technical and scientific knowledge and the functionality of Portuguese furniture design. 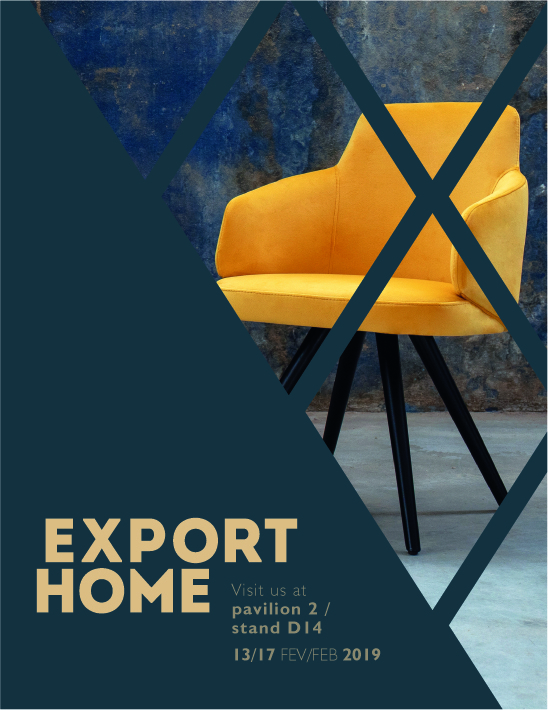 Positioning itself in a level of excellence, the event gathers more than 80 exhibitors that present the main novelties of Portuguese furniture and lighting. We have the pleasure to invite you to visit us at Pavilion 2; Stand D14, from 13 to 17th of February at Exponor. Request your invitation HERE!